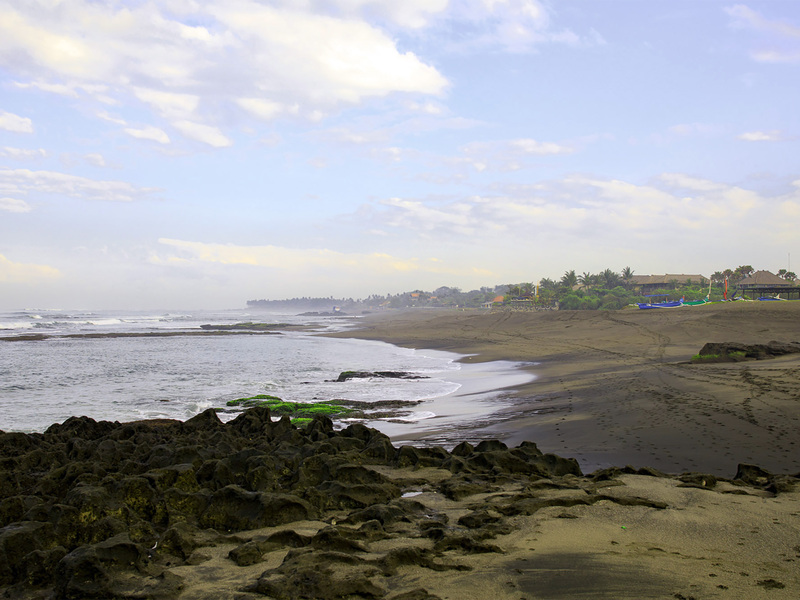 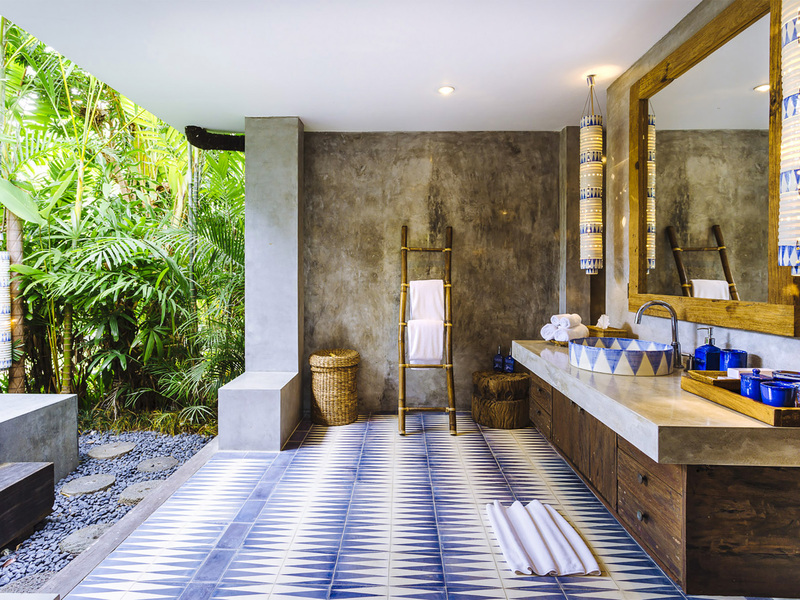 Stretching alongside a quiet river in a serene village, Villa Hansa is a divine retreat of refined privacy, vast space and delightful service; all just moments from the glittering volcanic sands of Pererenan beach. 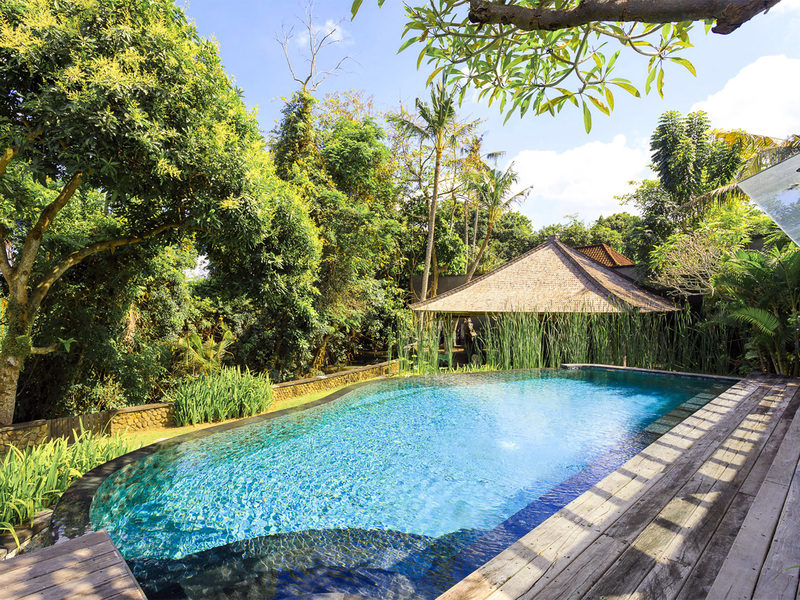 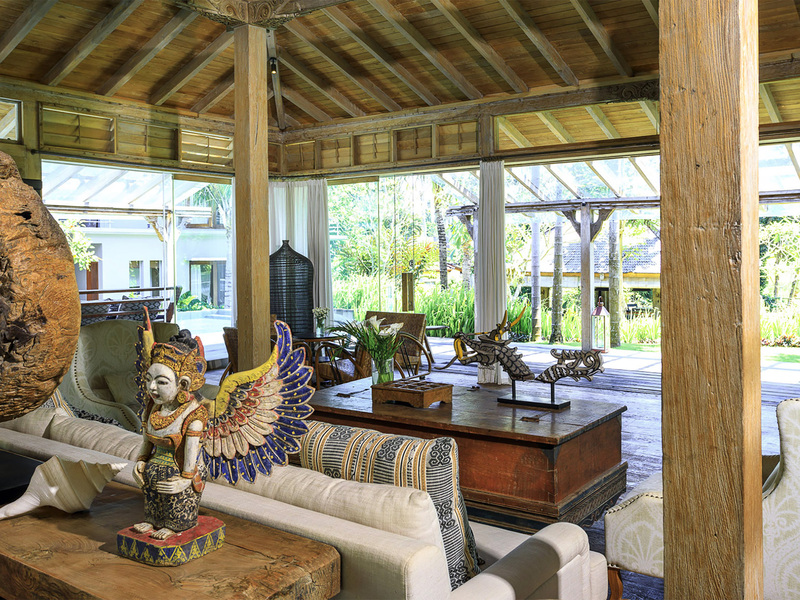 This chic seven-bedroom villa is an elegant blend of tropical style and cool luxury overlooking a swathe of verdant rice paddies. 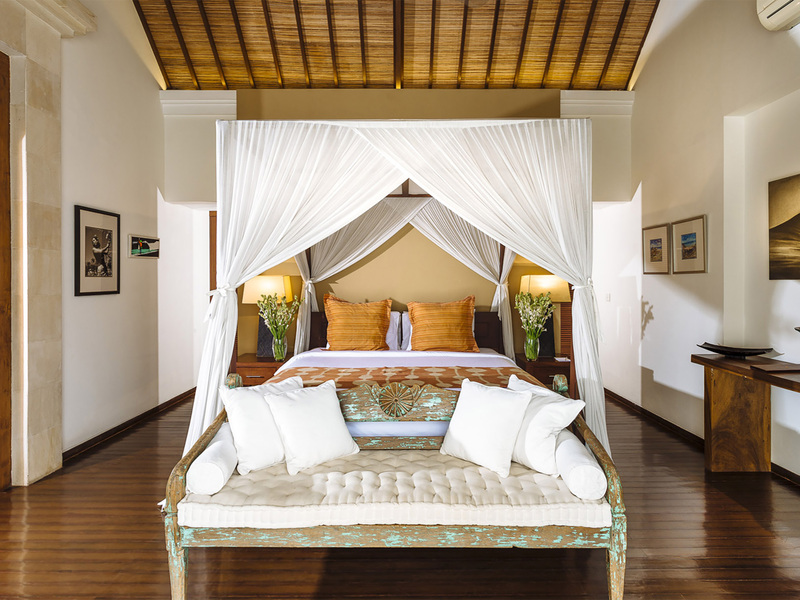 It is a superb choice for extended families or groups of friends, with bedroom arrangements offering seclusion, interconnectedness or clusters. 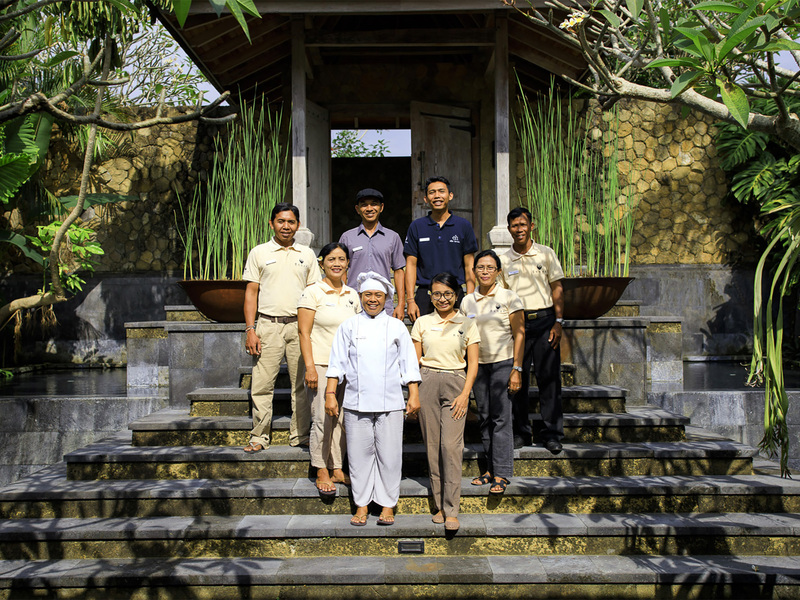 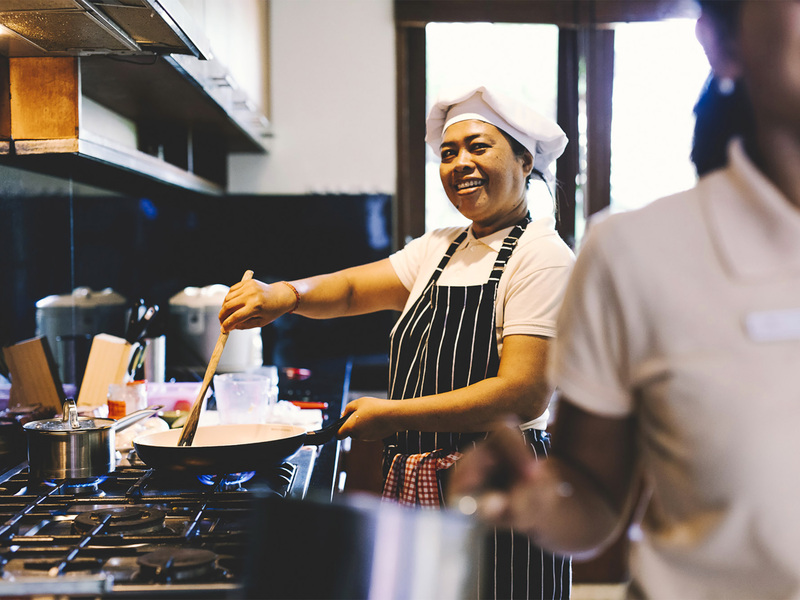 A professional team of staff including a private chef are on hand to prepare chilled drinks, delicious meals and give first-rate service. 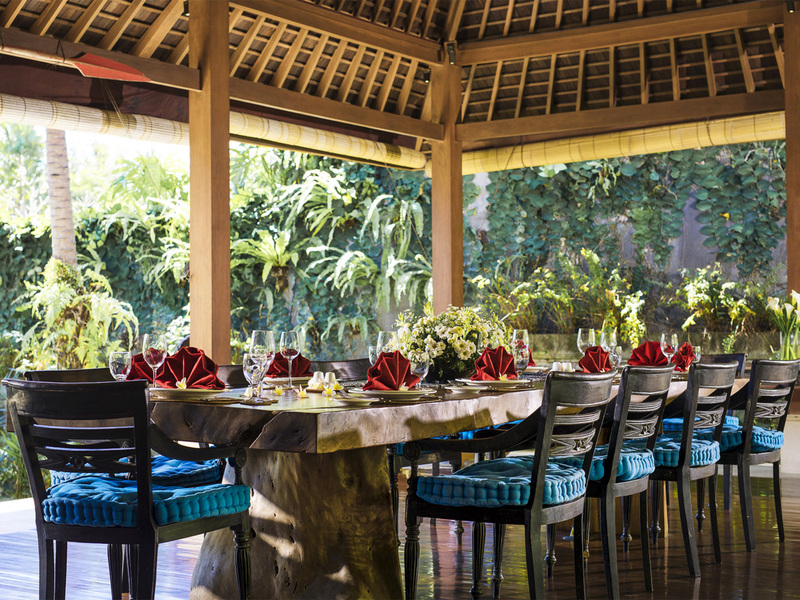 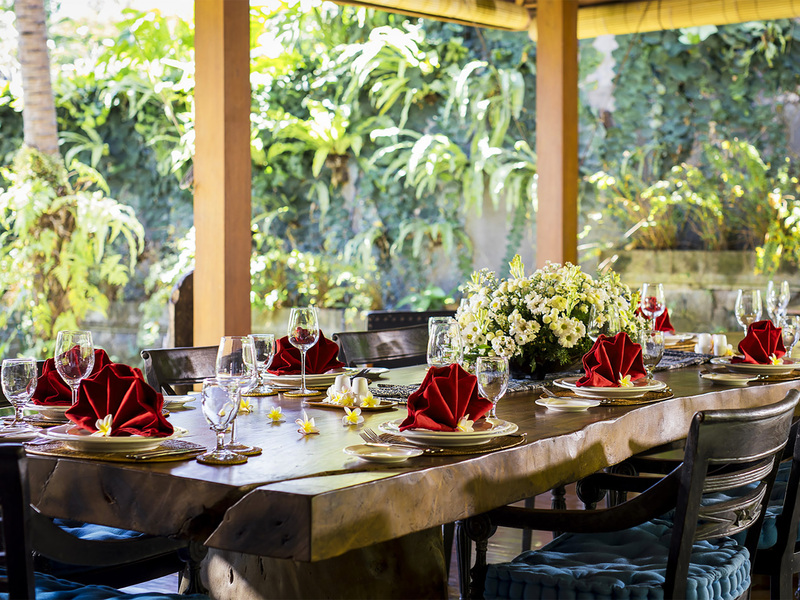 The diamond in Villa Hansa’s crown is a huge antique Javanese joglo housing a lounge and dining area, private kitchen and bar, which has been restored into a luxurious living space packed with exquisite artefacts. 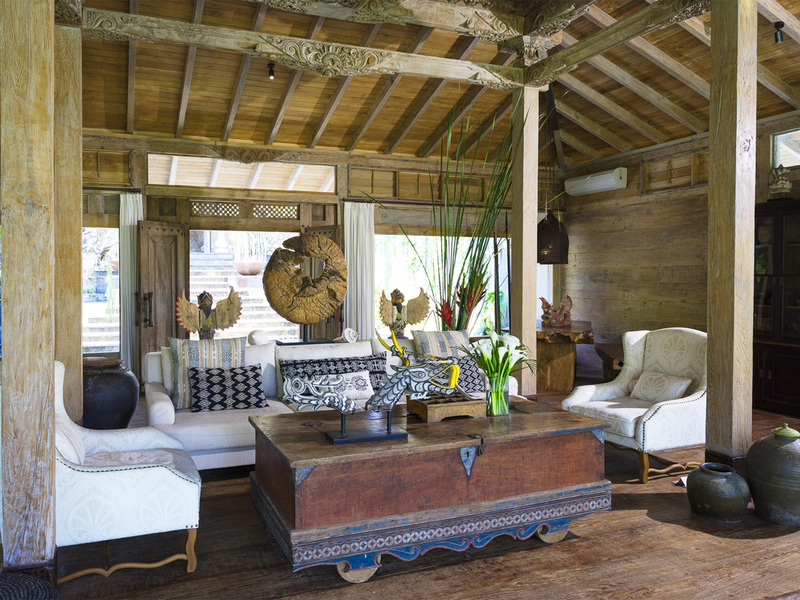 Deep comfortable chairs sit beneath an extraordinary carved teak structure and ceiling-to-floor to glass captures the lush views. 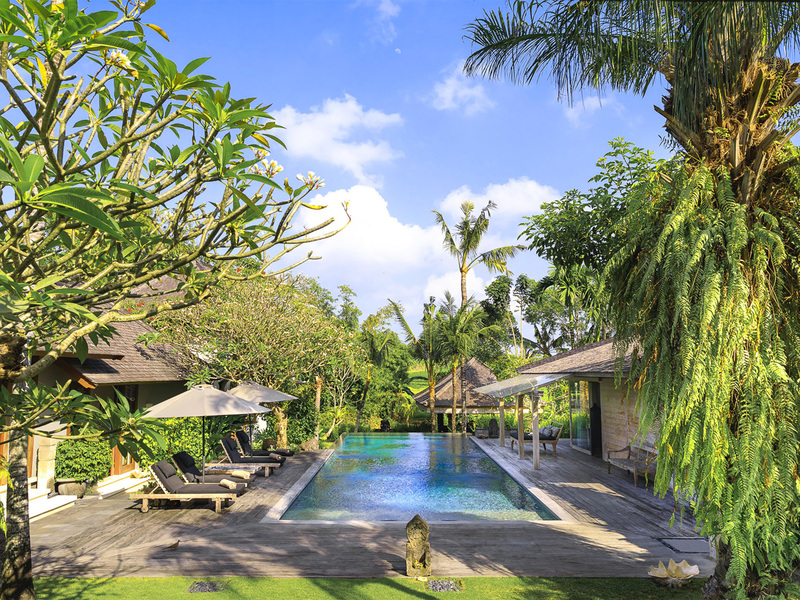 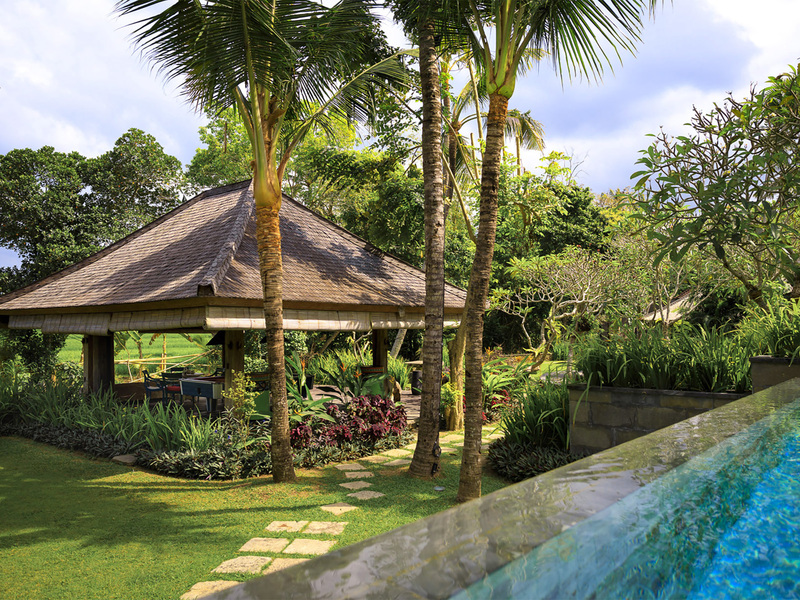 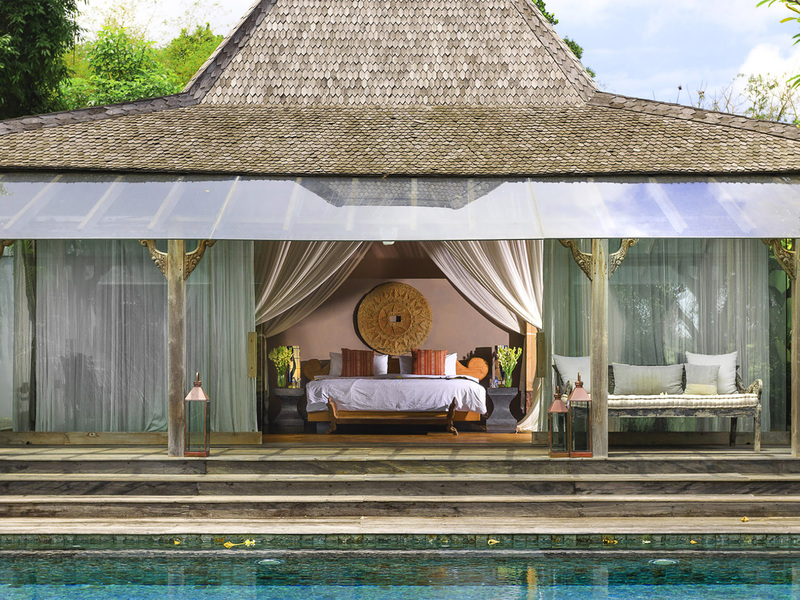 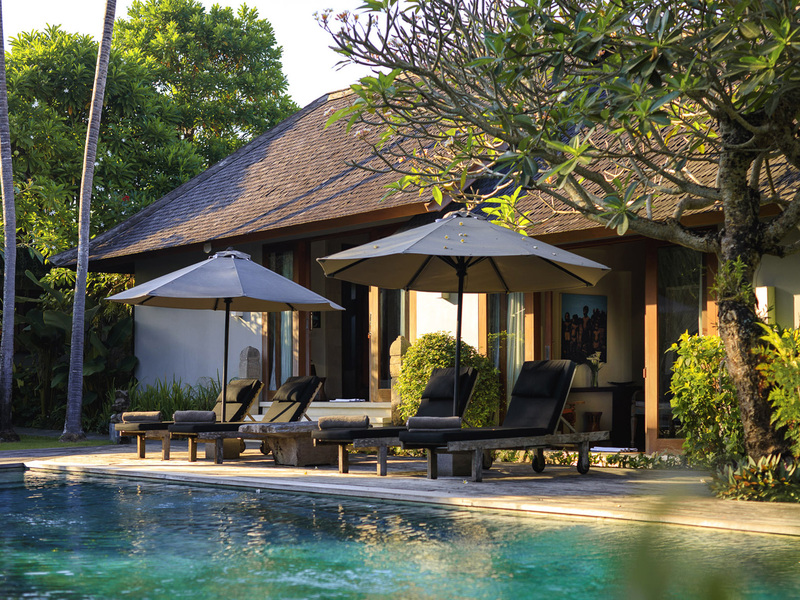 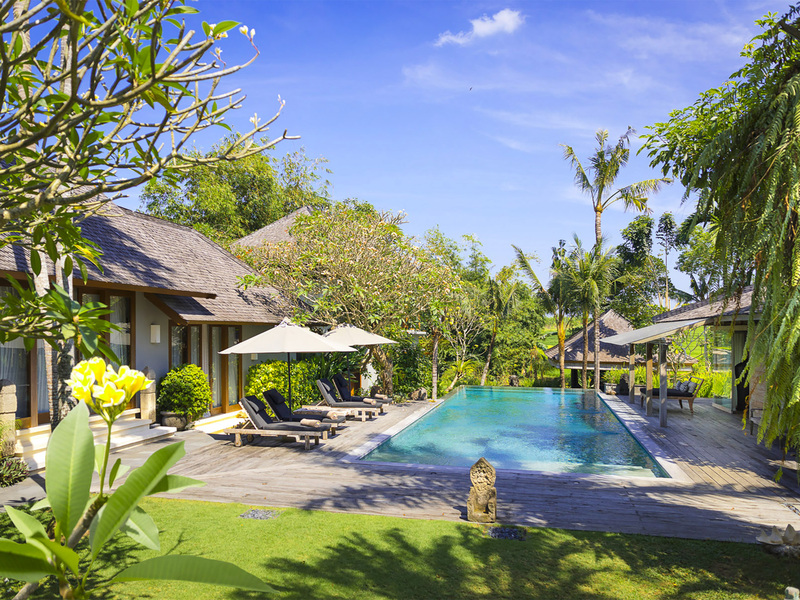 An 16-metre pool, surrounded by sun loungers and stylish Indonesian daybeds, is positioned between the joglo and four bedrooms with king-size beds. 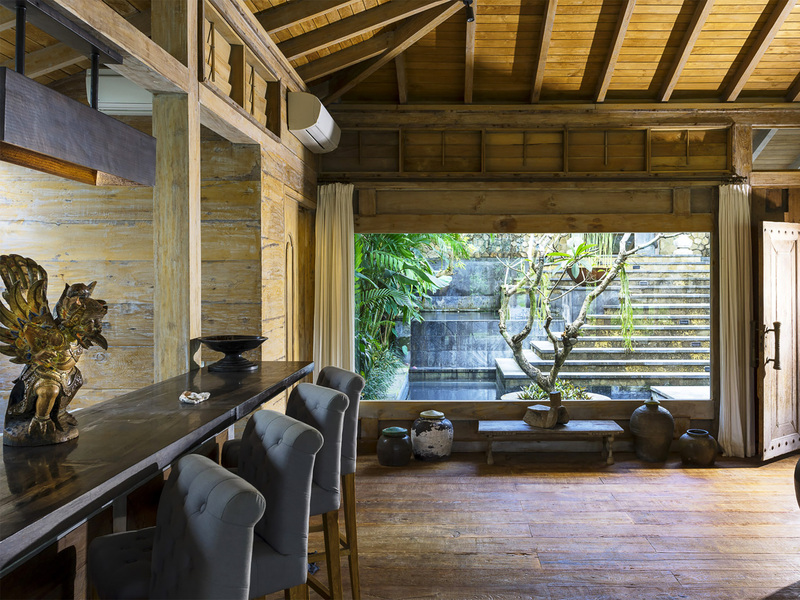 A large open-fronted dining and living space with a big kitchen forms the casual social hub of the estate. 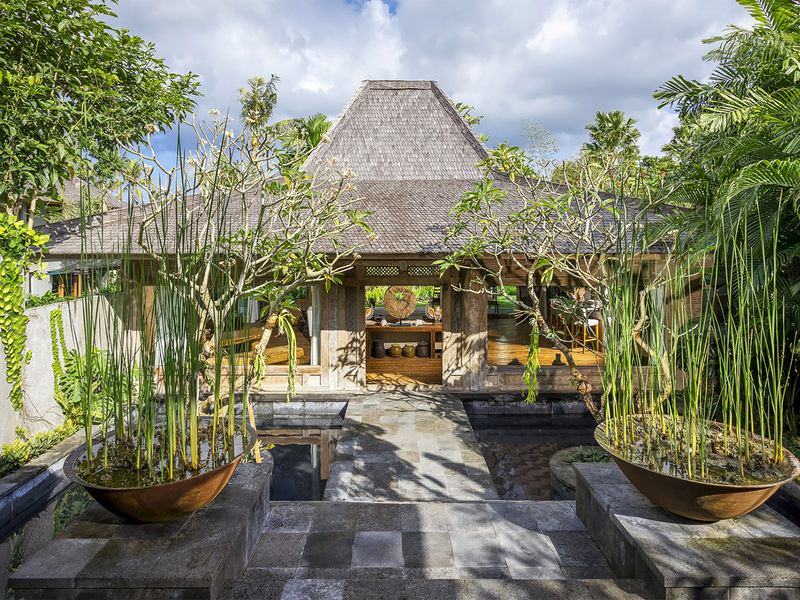 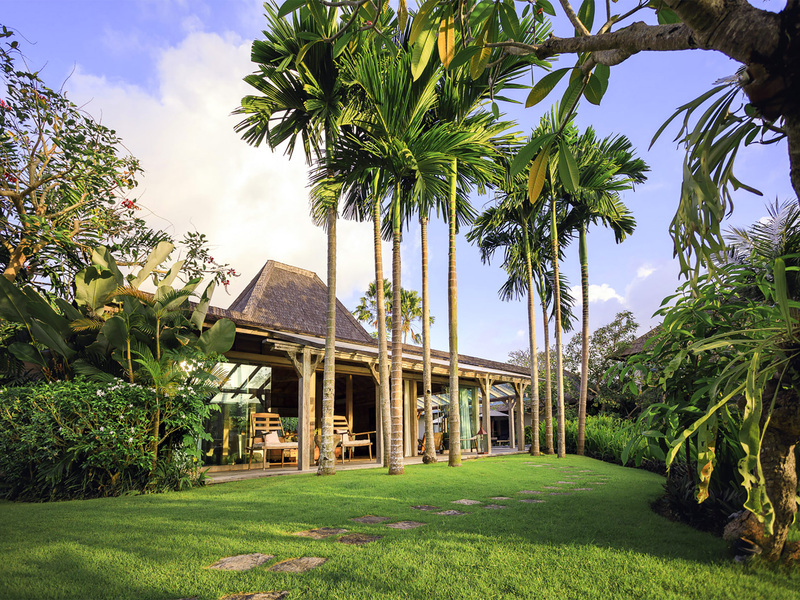 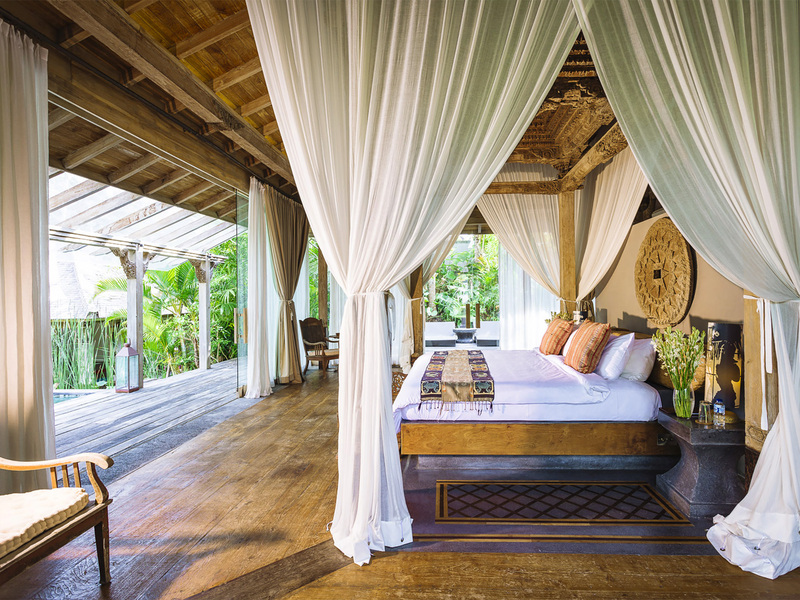 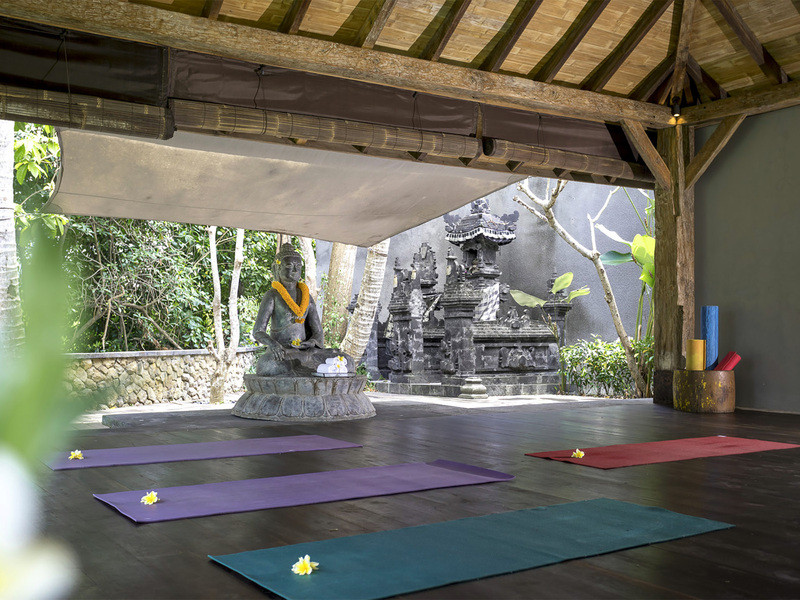 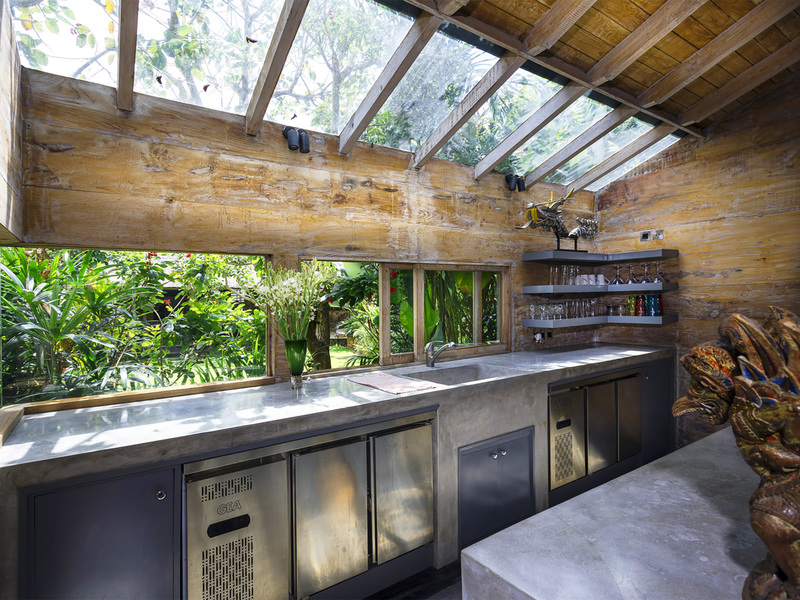 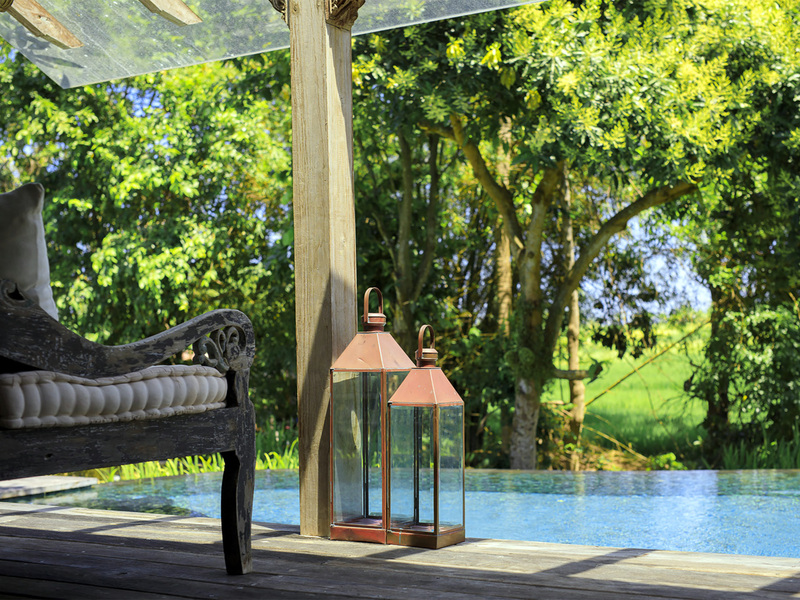 In the gardens sits a shingle-roofed balé with a pool table and barbecue perfect for riverside cocktails, and an open-sided yoga studio is tucked alongside a Balinese temple that is tended to daily with flower offerings and incense. 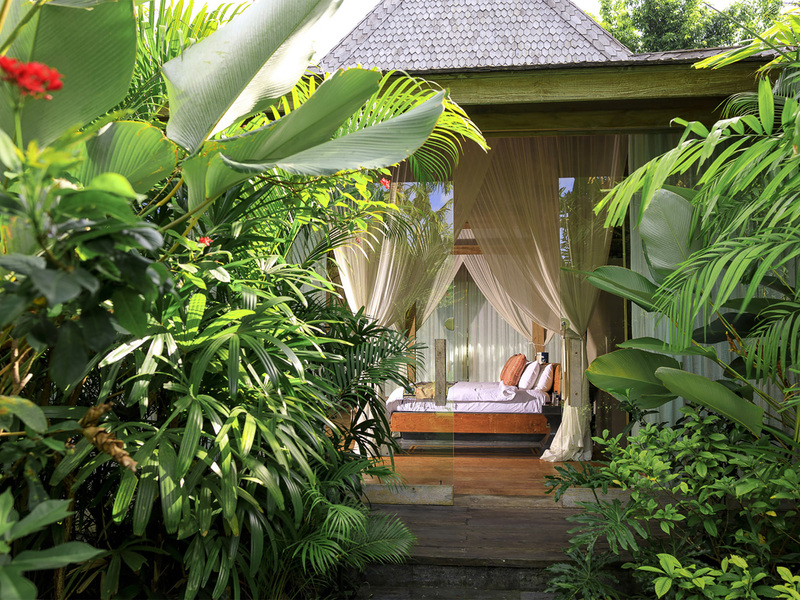 Villa Hansa’s master suite occupies a lush corner of the grounds. 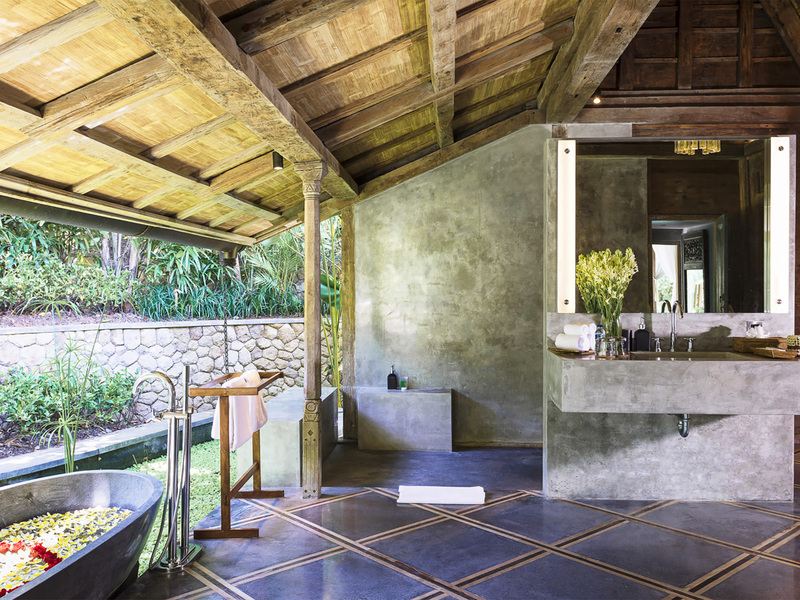 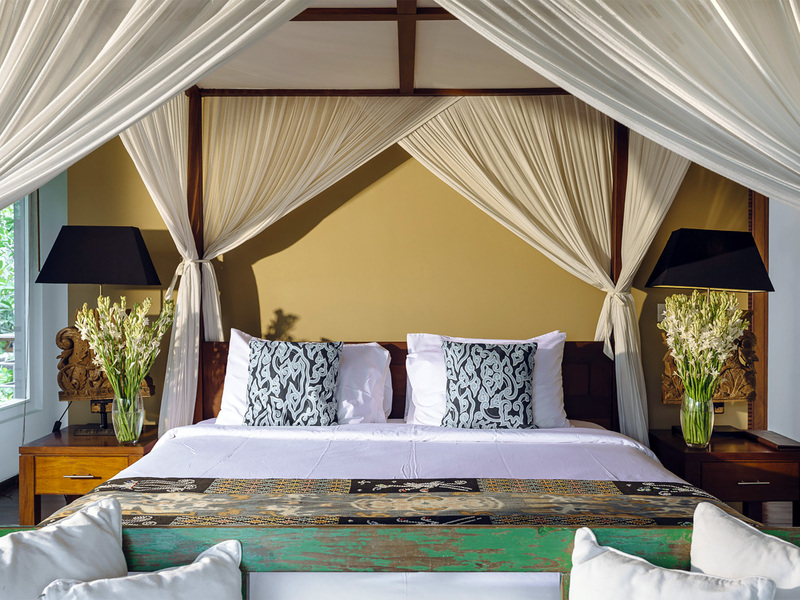 Luxuriously adapted from a second repurposed joglo, the suite contains a king-size bed and features a private 12-metre pool, a quiet walled garden, and a chic bathroom with polished concrete, gorgeous hand-made tiles and a stone bath set within a fishpond. 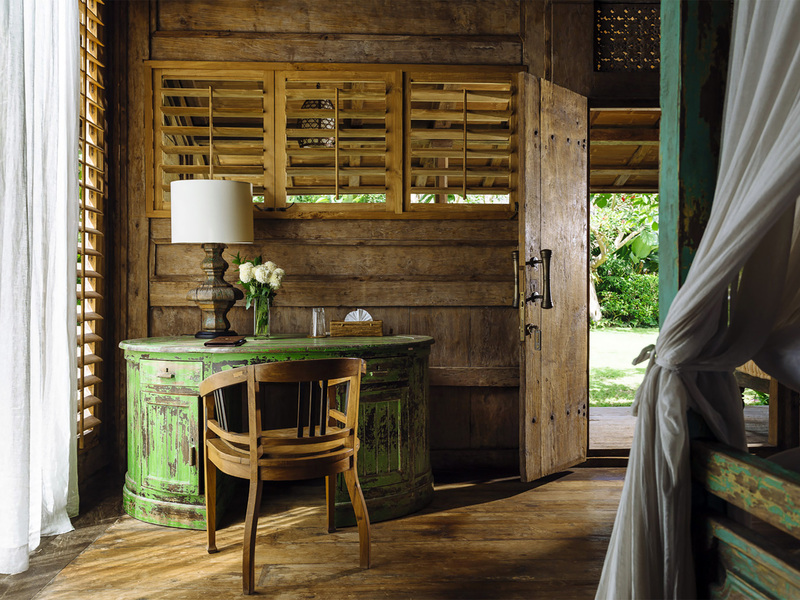 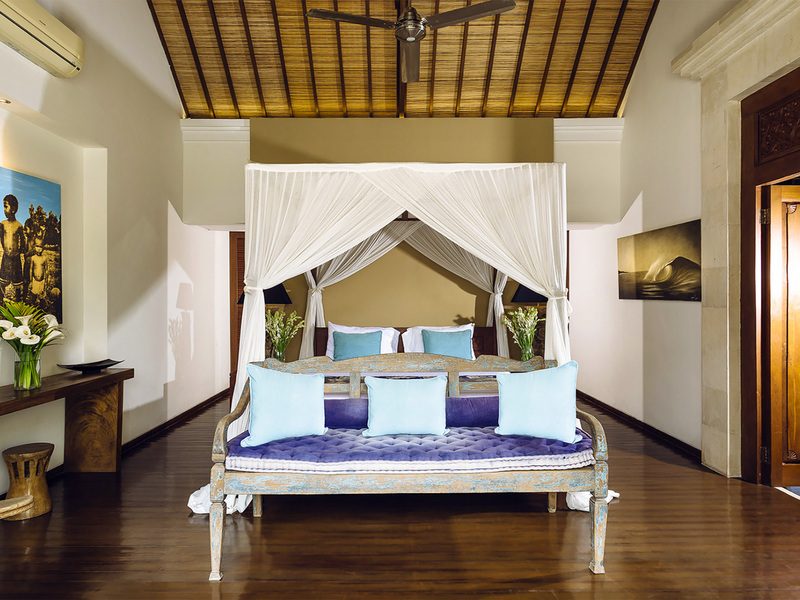 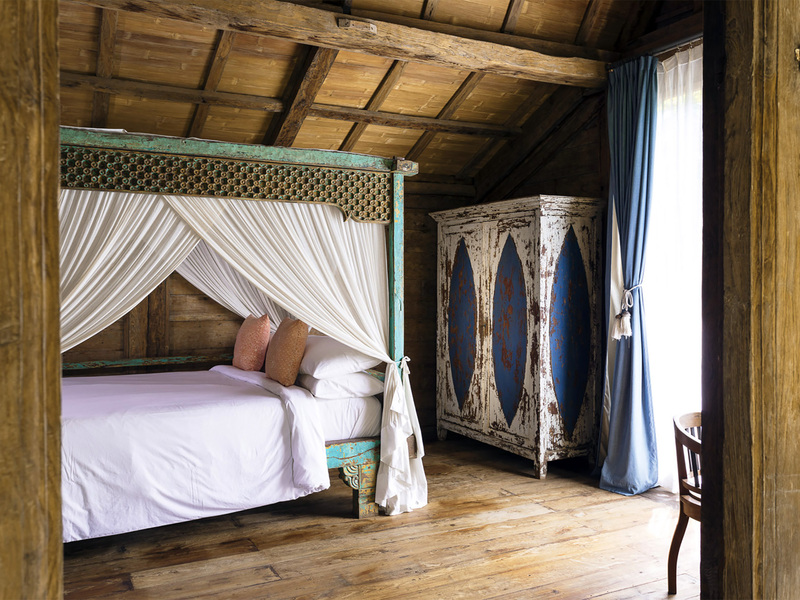 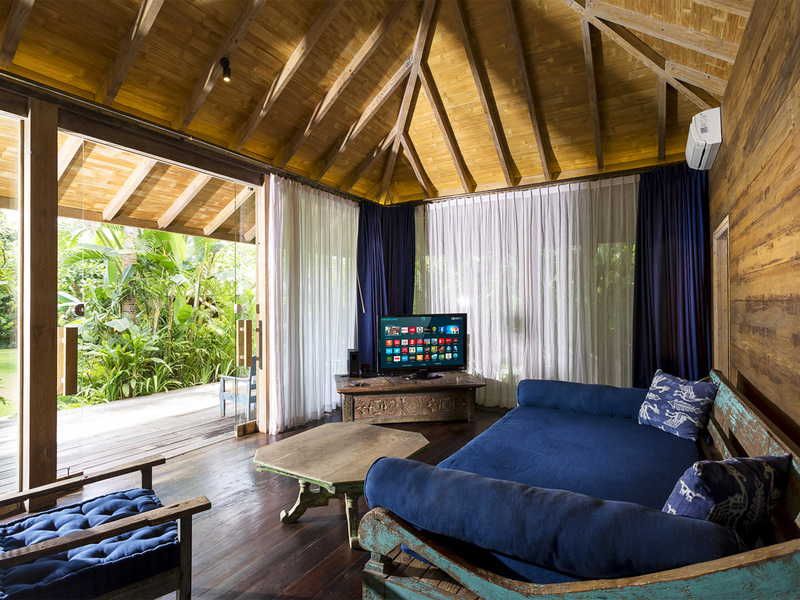 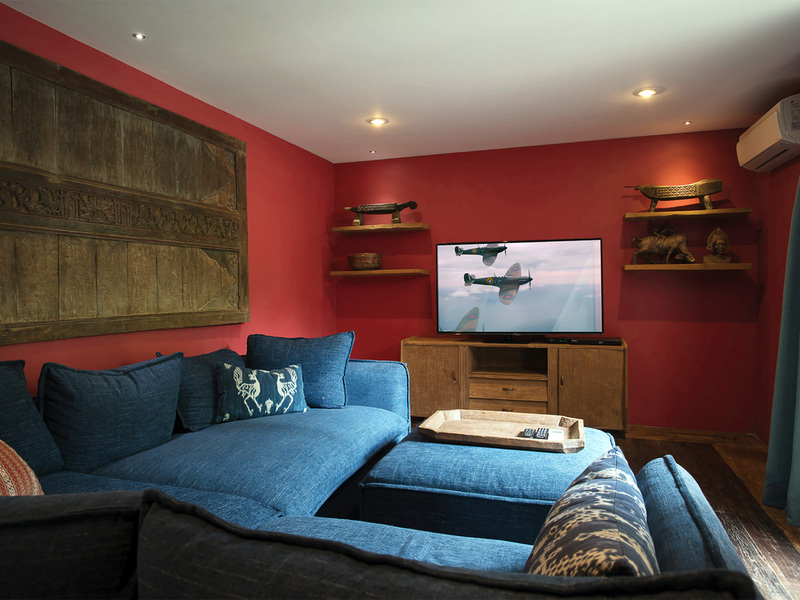 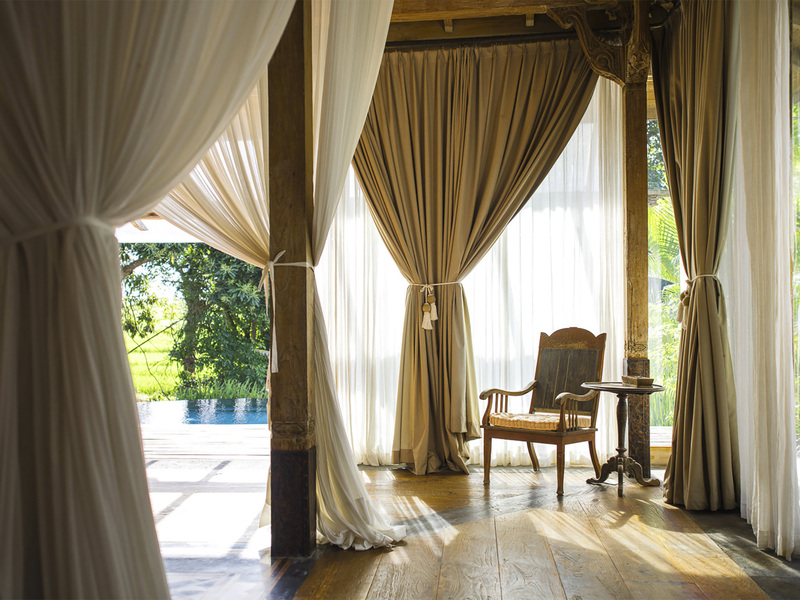 An adjoining TV room connects to an antique timber gladak furnished with elegant antiques and a four-poster netted daybed. 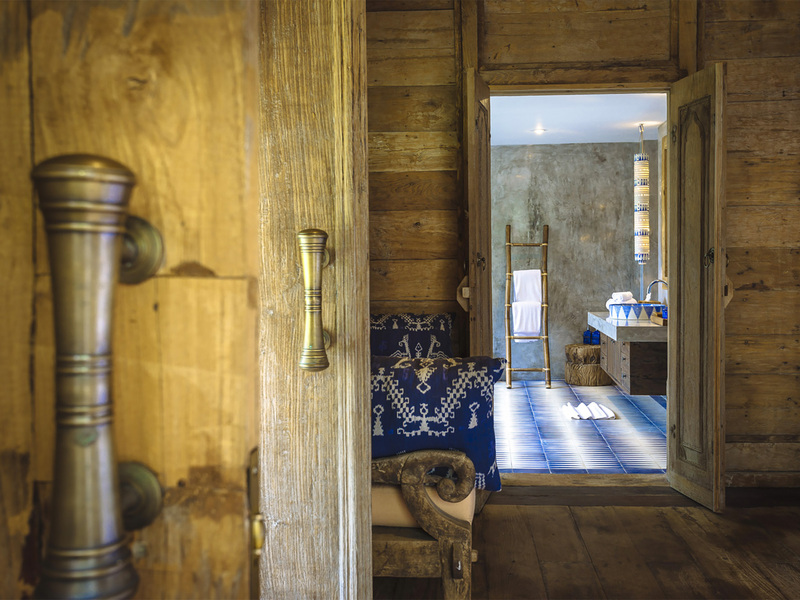 Set on lawns in this quiet corner of the estate is a second timber gladak house that is ideal for teens or a guests who enjoy seclusion. 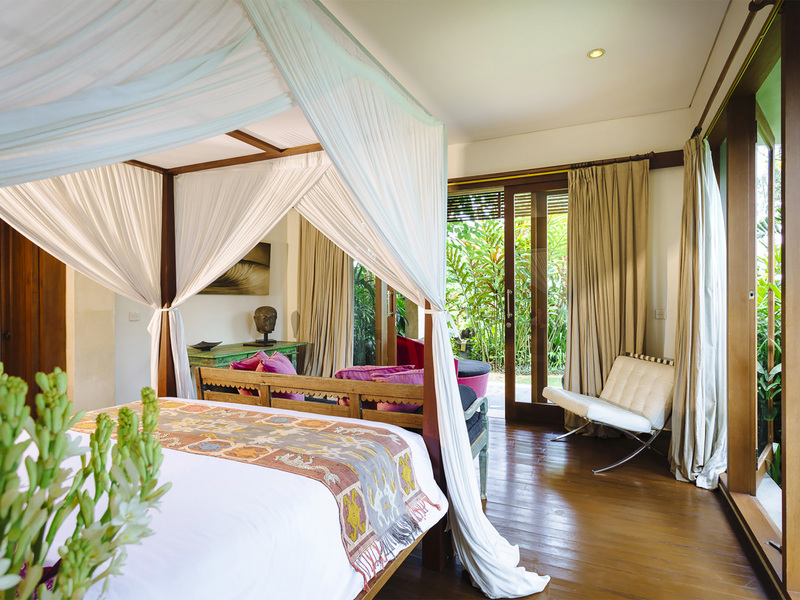 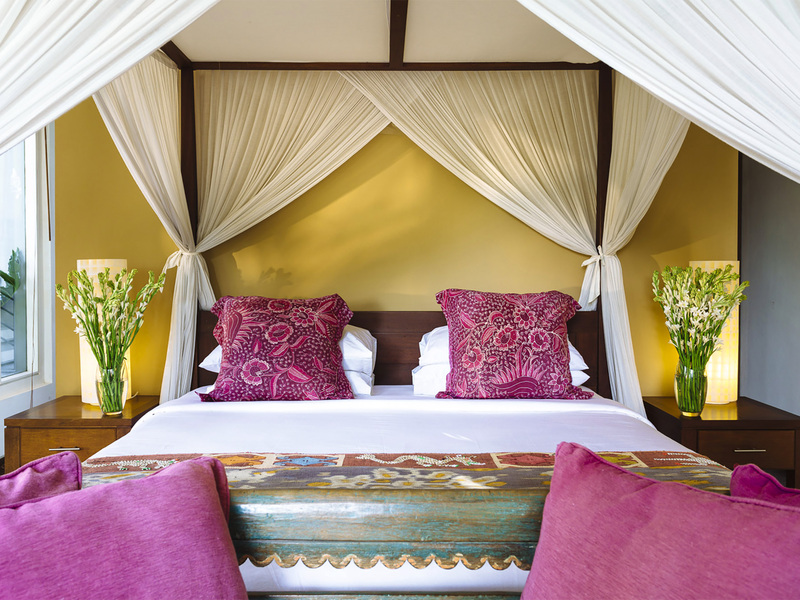 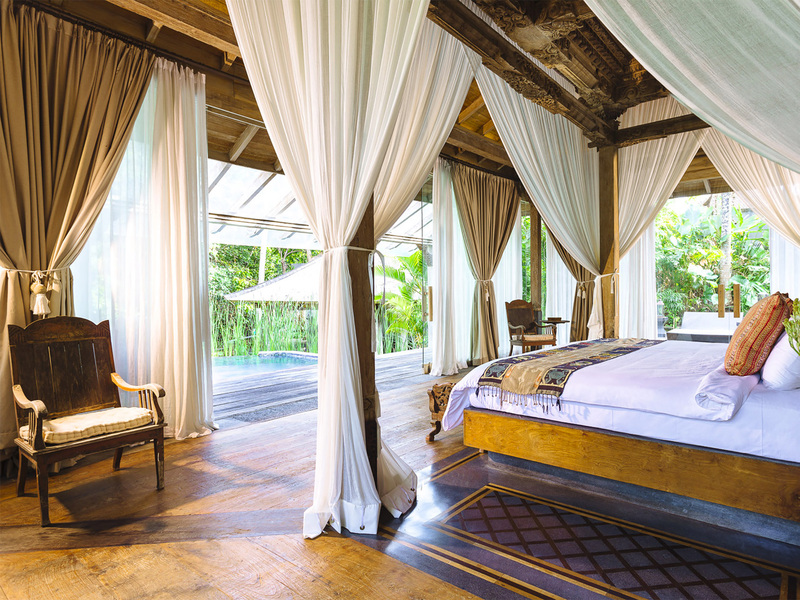 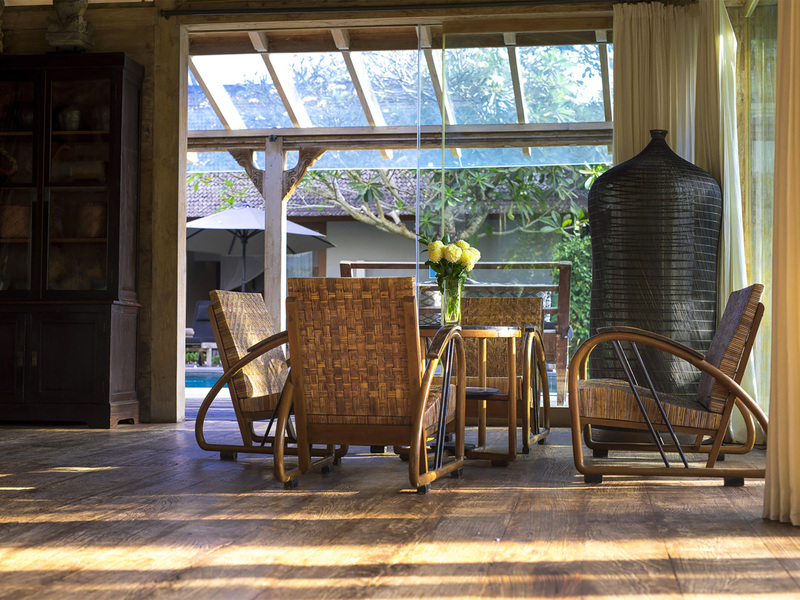 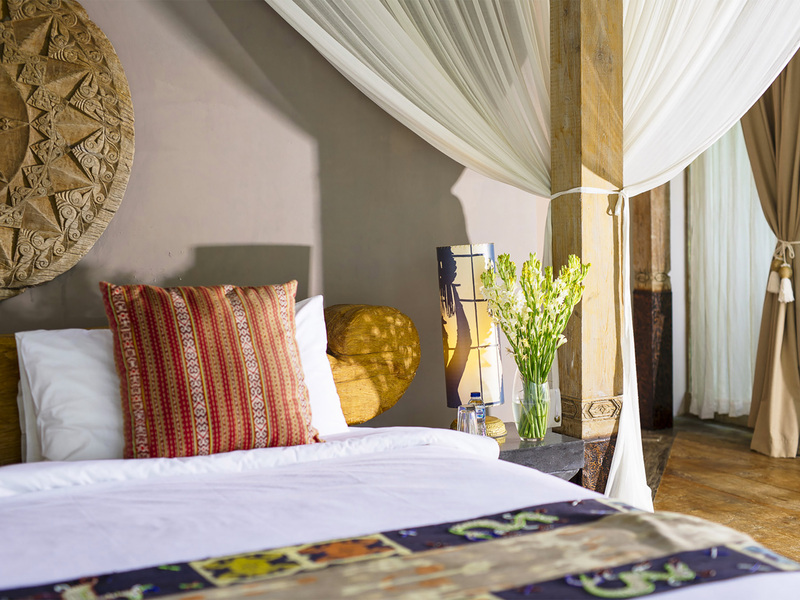 This wonderfully romantic traditional Indonesian home has twin netted beds, an ensuite shower room and its own shaded veranda.